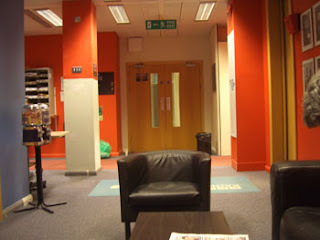 The BBC (who apparently read my website, oh yes!) and the 'Listen Again' function have confirmed that Richard did, indeed, say I was an author. So I stand corrected. He did not mention my book, but frankly, I can't imagine 100,000 people scrambling for a pencil at 12:15 in the eveing saying, "What did he say the name of that book was? I've GOT to have a copy." I was on national radio. I was introduced as an author. I held my own even though I was heavily outgunned. I have every reason to be pleased. I've just been tagged to be the Ying to ExpatMum's Yang on the Richard Bacon Show. But I lost the toss so I have to take the Pro-US side. Granted, I am Pro-US, but I'm Pro-UK, too. This, however, is entertainment and my job is to talk the US up and really trash Great Britain, while ExpatMum argues the UK side. It ought to be a hoot, but I certainly hope no one takes my diatribes seriously; my aim is to sell books, not have people burn them (or me). 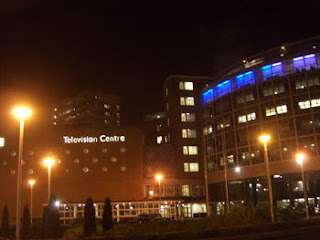 And wouldn't you know it, the BBC are having problems arranging a local studio for me to go to so I have to drive up to London and sit in their main studio with Richard Madeley. But now I have to cram for the big night and try to come up with reasons to not like Britain and arguments as to why the US is so much better. I did tell them this is contrary to what my blog and book is all about, but for the sake of A) the craic, B) getting some publicity, C) chatting live with ExpatMum and D) meeting famous people I think I can pretend that there are some things about Britain that really piss me off. Hey, and don't get me started on customer service. among the bedclothes, through the hills. I've loved that poem ever since I was a child. It always sounded so 'English' to me--quaint, simple yet powerful--and now I get to live it. That's right, after having prepared an optimistic list of all the things I wanted to do today, I came down with the 'man-flu.' It's just a scratchy throat and a stuffy head, but I'm making the most of it. I may not have a squadron of leaden soldiers at my disposal, but at least I have my AlphaSmart Neo, a box of tissues and cup of Lemsip. Like many men, I don't do 'sick' well but, fortunately, I don't do it very often, either. In the seven years I've been here, I have missed only one day of work through sickness. And if today hadn't been a holiday, I would have gone to the office (I also would have probably made pathetic noises until they let me go home, so I'm just as glad I don't have to go through that). From the time I was a teenager, whenever I became ill with a sore throat and/or a cold, I would make my special concoction--Campbell's Chicken and Rice soup as a base, with added Minute Rice and lots of garlic and salt. It didn't always make me well, but it never failed to make me feel better. When I experienced my first cold in England, there was a bit of confusion as I attempted to cobble together a respectable substitute without benefit of the key components but I managed to come up with a new recipe using indigenous ingredients that more than fits the bill. The fact that it is miracle food is a no-brainer: it warms you up inside, the garlic opens your airways and the salt sooths your throat. But the most potent ingredient is belief: you believed it would make you better, because your mother told you so (this is even more potent if it is a Jewish mother). In my case, I just had to muster up my own faith, but that seemed enough. I made a big pot of the special soup that first night. I finished it last night. Today I'm still sick. Bugger. It must be my mother's lack of faith. This means I need to rely on my fallback strategy: kill or cure. The idea is to take a glass of whiskey and a cigar out on the balcony and sit in the cold, smoking and drinking, until I convince whatever it is living inside me that it will be a lot more comfortable somewhere else. I've successfully employed this method on several occasions; I am not, however, suggesting that whiskey and cigars are good for you, more that the belief in something is often enough. This time, I'm not so sure my faith is up to it. First of all, it's bloody cold out there, and a glass of whiskey and a cigar, at this point, is not going to help (plus, there is the disturbing idea that it's called "kill or cure" for a reason). No, I think this time I'm putting my faith in a nice hot cup of Lemsip and a visit to that pleasantly familiar comfort from my youth--the land of counterpane.